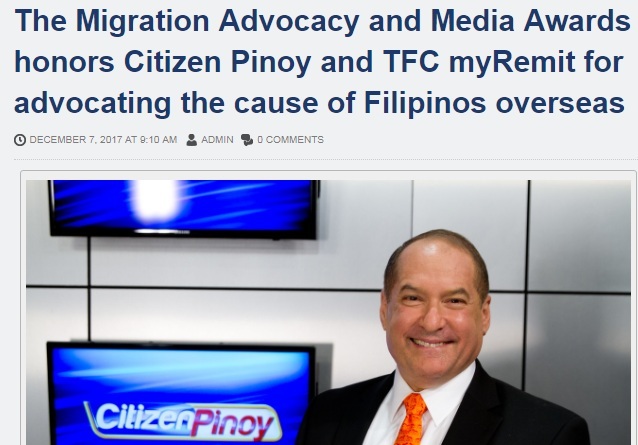 TFC’s weekly program, Citizen Pinoy, won the Television Journalism Award – Best Regular TV Program Category in the 2017 Migration Advocacy and Media (MAM) Awards. 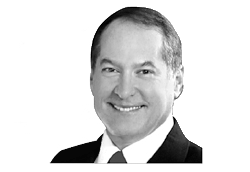 Citizen Pinoy is a public service program hosted by leading U.S. Immigration Attorney Michael J. Gurfinkel, that specializes in helping the Filipino community deal with immigration issues and legal problems in North America. It focuses on immigration laws, issues and procedures, and presents complex immigration topics in plain terms, enabling viewers to better understand their rights, options, and possible solutions to their immigration problems. Each episode of Citizen Pinoy is filled with heart-wrenching and heart-warming stories of separation, sacrifice and salvation. The program continues to be the Filipino’s passport to immigration information. Additionally, TFC’s myREMIT® campaign entitled “Papa’s Boy” won for Best Advertisement. The commercial is about a father who left his wife and son at a very young age to pursue a better opportunity abroad and provide for his family’s needs. When the father returns home, he sees his son all grown-up. myREMIT® is a service offered by TFC that allows the convenience and security of sending money to the Philippines 24/7 online or by phone. This year’s awardees were chosen for having raised public awareness on issues on Filipino migration, advocated the cause of Filipinos overseas, promoted a positive image of Filipinos overseas, and espoused the concepts of migration and development. Click here for the full list of winners of the 2017 Migration Advocacy and Media (MAM) Awards.